If you are looking for the top training equipment to build up your home gym (as well as your body), this is the article for you. I will share with you those must have exercise equipment for increasing lean muscle mass and decreasing fat stores. Let's have a look at it now! Your first choice for weight training equipment would be dumbbells or barbells. It will help to buy dumbbells in different weight loads. This will help you to increase your weight as you get fitter. Alternatively you can just invest in adjustable dumbbells. In my eyes they are the easiest to use as you can just adjust the weight as you progress. If you have multiple sets of weights, a weight rack can really come in handy. It will ensure that you don't trip over your weight as they will neatly be stored at one place. For a smaller collection of weights a small weight rack will be perfect. If you’ve never worked out with a kettlebell before you are missing out! Kettlebells are amazing to combine strength AND cardio workouts together for an effective and quick workout that will burn a TON of calories. They are one of my favorite ways to get a fantastic HIIT workout in and make me feel bikini ready. 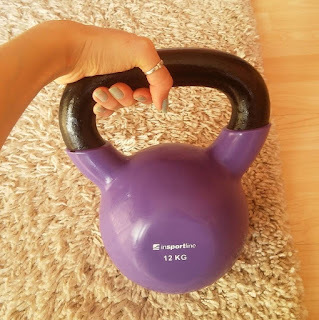 I would recommend starting with a 12-18 pound kettlebell to start, and then building up your strength from there. While gloves are not essential weight training equipment, they will project your hands from the weights. Weight training gloves will also prevent weights slipping from your hands; limiting injuries. An exercise bench is another essential to have in your home gym; especially if you plan on doing upper body workouts with your weights. 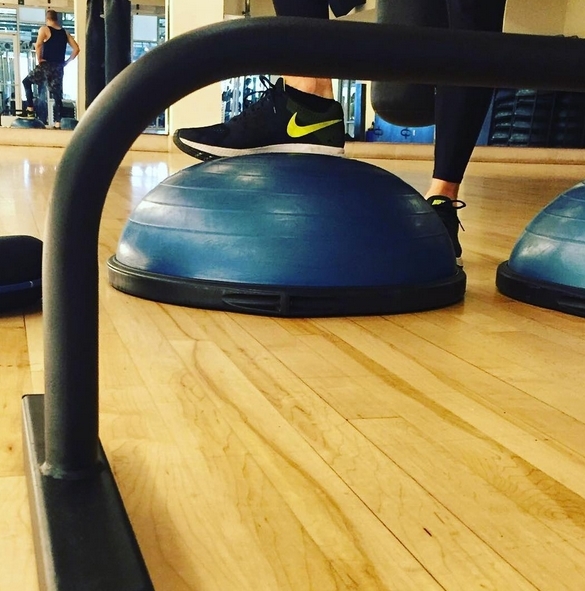 You can always use an exercise ball for those exercises, but the exercise bench still beats the ball anytime. If you want to further invest into your home gym, exercise balls are the way to go. You can have a look at medicine balls, BOSU balls and the normal exercise ball. ALl of those equipment will come in handy. A sit-up bench is another handy feature to have in your own gym. It supports your back and makes abs exercises easier, more comfortable and more effective. The only problem with an sit-up bench is that you need a lot of space to store it; but it will look very cool. A gym mat is also very essential to have in your personal gym; especially for that all-important stretches. And it's the one weight training equipment that you will always need. 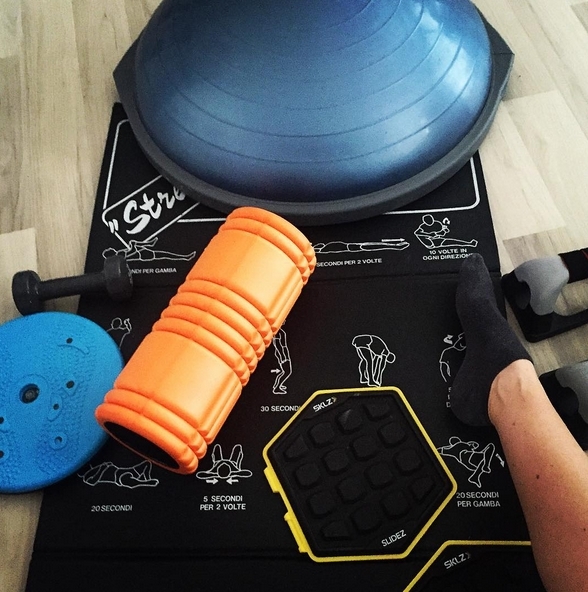 Foam rollers are essential for maintaining healthy and happy muscles when you start an exercise routine. Once you get used to how foam rollers feel, you will love that you have your very own masseuse. This foam roller is the absolute best on the market, and really digs in deep to tight muscles. Breaking up “knots” in the muscles allows you to move properly and reach your full range of motion while exercising, allowing for increase strength and mobility. If you’re looking for one of the best cardio workouts to do at home, invest in a jump rope. You can burn as many as 100 calories in just 10 minutes of jumping. I promise you you’ll be feeling after just 2 minutes! I recommend getting a speed rope, as it’s much smoother with each jump. This is another piece of equipment that hasn’t yet made a debut on here. But, I LOVE my pull up bar. I swear there is no exercise better for building a beautiful back than pull ups. I use my at least once or twice a week, and the more you practice, the more you can do! I remember when I first starting doing pull ups I could barely do ONE! Now I can do 4 sets of 15 no problem! With these exercise equipment, your home gym will be just as professional and well laid out as any other gym. And you are sure to get a fantastic workout in, right in the comfort of your own home!